Rip DVD to ultrabook to play DVD movies on ultrabook without optical drives (for example Dell XPS 13 2015 ultrabook) smoothly. Early launched in 2012, the thinner, slighter new version of Dell XPS 13 2015 ultrabook, firstly introduced on CES 2015, had been released on January 8, 2015 in US, featuring 13.3-inch in a size similar to an 11-inch ultrabook. 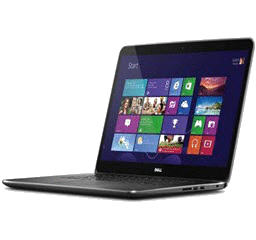 With a resolution of 1920x1080 full HD touch screen, it is no doubt that Dell XPS 13 2015 is pretty suitable for watching DVD movies but there is no optical drive equipped making a direct DVD enjoyment impossible. In fact, most of ultrabooks don't wrap an optical drive for reducing bulk and keeping long battery life. Therefore, we need to rip DVD to ultrabook supported video formats by means of a DVD ripper for playback DVD movies on Dell XPS 13 2015 ultrabook or other ultrabooks. WinX DVD Ripper Platinum - Rip any DVDs to Windows/Mac ultrabooks, for example Dell XPS 13 2015, Macbook Air with removal of copy-protections while maintaining crisp images & hi-fi sound at No.1 fast speed. Before ripping DVD to ultrabook, it is necessary to have a knowledge of ultrabook supported media formats which vary from operation systems, for example, Windows 7/8/10 (Dell XPS 13 2015, Lenovo Yoga 3 Pro etc,) or Mac OS X (Macbook Air). Next, what we need to do is to grab a powerful DVD ripper available to rip DVD to ultrabook. WinX DVD Ripper Platinum is one of leading DVD ripping software capable of converting any DVDs, even latest copy-protected DVD movies/TV shows to MP4, AVI, MOV and other video formats supported by ultrabooks at a very high speed. Apart from DVD to ultrabook, it also can rip DVD to current portable devices, iPhone 6s/6s Plus, iPad Pro/Mini 4, Samsung Galaxy Note/Edge, PS3/4, Xbox One/360, Windows 10 Mobile etc, with crisp images and nearly lossless audios. How to Rip DVD to Ultrabooks (Windows/Mac)? Best solution to rip any DVDs to Windows/Mac ultrabooks. In the following, let's learn how to convert DVD to ultrabook. Step 1. Insert DVD into DVD-ROM on your computer (not ultrabook) and click DVD Disc button to import source. Alternatively, you can import ISO image or VIDEO_TS folder as source if no DVD-ROM packed. Step 2. The full titles will be demonstrated with auto-checked main title and Output Profile window will pop up the moment DVD completes loading (only few seconds). Click General Profiles or PC General Video (for Windows), Mac General Video (for Mac OS X) and select MPEG4 video with codec MPEG4+MP3 (the most compatible formats for almost all ultrabooks) or other supported video formats by ultrabook as output format. Step 3. 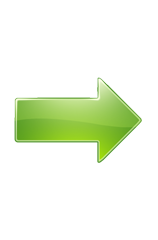 Click Browse to choose destination folder for saving ripped DVD and click RUN button to start DVD to ultrabook conversion. Tip: WinX DVD Ripper Platinum enables you to adjust video and audio parameters according to specifications of particular ultrabook models or trim/crop/add movie subtitles in order to play DVD movies on ultrabooks in a greater effect. Also, the soundtracks can be extracted as MP3 music and AAC/AC3 audios. Rip any DVDs to Windows/Mac ultrabooks supported video formats (MP4, H264, AVI, WMV, MOV, MEPG etc.) for a smooth movie playback. It also can convert DVDs to iPhone, iPad, Android and Windows smartphones/tablets, PS3/4, Xbox One/360 and copy DVDs to ISO image/VIDEO_TS folder/MPEG2 file at 1:1 ratio in a simple and fast way.